So you have moved to a new place and feel like you need to make some extra cash to meet the demand and you don’t want to get into some long term commitment. Or you may have moved to a new city like New York which is a bit more expensive then you had thought initially, and now you don’t want to change your decision and go back to your small town, all you need to stay is some extra cash. You may also be having a full time job which you can’t leave because you need that salary, right? And you want to do something that you can do along with your job and according to your time availability. Here is an answer to all of your question – Become an Uber Driver. Now you might be thinking… seriously? Yes. Uber is actually a ride sharing service where you let others share a ride with you and you get paid in exchange for a ride. The person who shares a ride with you will save money on Taxi price. So this is a win-win situation for both. But what if this thing has to be done on scale, nationwide.. worldwide? This is where Uber comes into the picture. There has been lot of hype about ride sharing services these days, and Uber is the (undisputed) king of them all. Why? Because of its size. Uber has a huge network of people who want to share a ride and this is the biggest advantage. If you become an Uber partner, you have all those people to share a ride with you. So you want to become an Uber driver but you don’t know how to go about it or you don’t know what are Uber driver Requirements. Read on. The minimum age to be an Uber driver is 21 years, this is common for all the states. You must have a One years of driving experience in United States. Minimum six months of driving experience is required in the state you are applying to be an Uber driver in. If you have moved from another state then you may have to produce your old driving licence also. Since you can’t have driving licence of two different states, a copy of previous state driving licence will be helpful to verify your driving history. 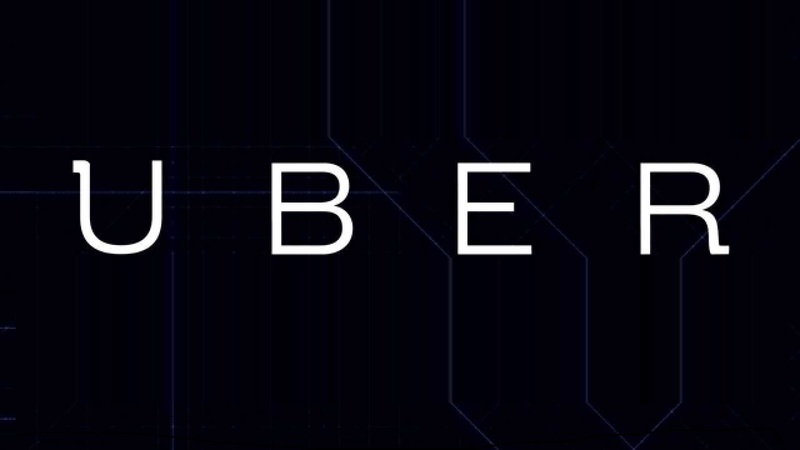 Uber has some specific requirements for the vehicles that can be used for the service. If your vehicle doesn’t meet these requirement and you still want to driver for Uber then you can always get a new car, and Uber does support a finance program for those looking to join. Following are the requirements that a car must fulfill before it can be approved by Uber. The car has to be year 2001* or newer. It should have In-state plates. Should not be marked, or be taxi, or can’t be a salvaged vehicles. The vehicle has to pass Uber Vehicle Inspection. The car needs to be registered, it is not necessary to be registered on your name. Vehicle inspection is a critical step of application process to become an Uber driver. Your chance of driving for Uber highly depends on the manual inspection of your vehicle. There are Uber activation centers in each area where you can get your vehicle inspected for free. Alternatively you can get your vehicle inspected at Uber approved auto repair shops also, but there is a charge of $20 for that. The inspection usually takes around 15 minutes. Most of the things checked during inspection are basic operation and functions of your vehicle. For example, function of Foot brakes, emergency brakes, parking lights, windshield wipers, headlights, tail lights are covered in these inspections. But that’s not all. All other smaller details are also checked like tread depth on your tires, rear view mirror conditions, locking system working properly, horn, indicators and stop lights. You may find it to be very basic health checkup of your vehicle but it is very important to have everything to be working in your vehicle. Your name should be on the insurance document to be eligible. Your insurance must meet the minimum state requirements if you want to drive fro Uber. But If you can enhance it to a full coverage then it can be good as you may be more often on road and the chances of meeting an accident increases. Having a full cover may help you in case of any mis-happenings. It is also important to have a clean background if you want to become a Uber driver. Passenger’s safety is very important for Uber hence it is very logical to have drivers with a clean background. Since most of the charges are removed form your record after seven years, the background check goes up to seven years in your background. If you have ever been in any car accidents or you were caught doing reckless driving then odds are not in your favor. Having DUI or caught driving under influence within last seven years is also not favorable. If your record has some crimes on your name then also you can find yourself in a rejected case. Any kind of criminal activities on your record decrease your chance of driving for Uber. Having a criminal history will actually get you rejected in first glance. If you have few speeding tickets then you can try your luck. Having none is not really possible. If your past driving record is clean and your background is also clean then you can really stop thinking to be rejected on this reason. If you are not sure whether you are eligible to drive for Uber, the best idea is to go ahead and apply. The process is really simple if you fulfill most criteria and your car is good enough to be in Uber brigade. As long as you don’t have a criminal background and you have the licence other hurdles can be overcome. Uber also has a vehicle finance program for those who want to drive but don’t have a vehicle. Though it is not really wise to buy a car just to drive for Uber. It must never be forgotten that Uber is actually a ride sharing concept and not Taxi company. So if you buy a car just to drive for Uber, you are not really understanding the concept. But who stops you from going ahead, if you are eligible, then go ahead and see yourself if you get an approval. Getting into Uber is one thing and staying in is another. Uber has a rating system which can be used to submit your feedback. It is for both, driver can rate the passenger and the passenger can rate the driver. This rating system is very crucial for Uber to maintain its service. A driver has to consistently receive good rating to stay in the system. You need to look for an average of 4.7 and above if you want to stay in the system. If your rating go below that, you may receive a warning before you are deactivated. If you are willing to get in, you must understand the cost involved. If you are looking for small amount and few shared rides, then it should not be a problem. But if you want to become an Uber driver for long term and want to spend more time sharing your rides, then you need to consider the real cost of running per mile. That exclude the gas cost. That means the tires, maintenance and every little aspect of keeping a car. If you calculate well then you can get a fair idea if you want to drive as an Uber driver or not. Is it legal things pushing call it ride sharing? Uber is platform for taxi competition as for most drivers it’s daily job. Anyone believe that uber’s driver by accident drive same direction when you book it. Funny…..